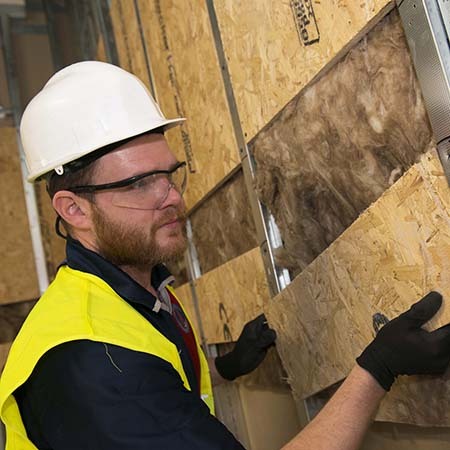 MEDITE SMARTPLY have launched their brand new PATTRESS PLUS product, a time saving, dust reducing, noise eliminating new OSB3 panel. The finished result means a massive reduction in dust , as no cutting is required. 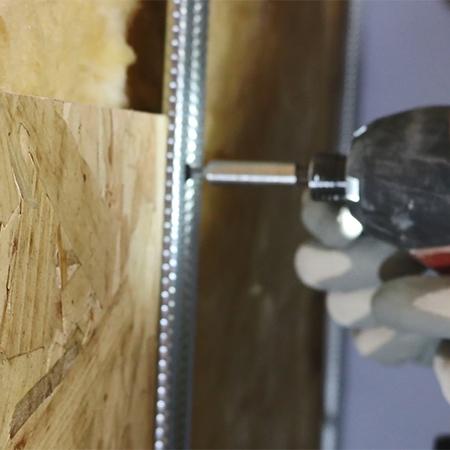 Noise will be reduced due to fewer power tools and there will be much less time spent cutting and installing panels. Head of Marketing and Brand at MEDITE SMARTPLY, Stuart Devoil said: “PATTRESS PLUS panels have been created to meet a clear market need. 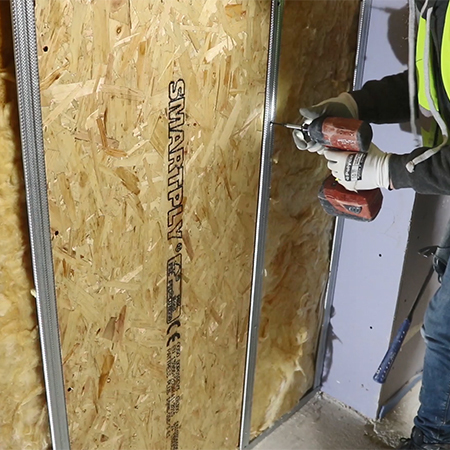 When speaking to Dryliners and contractors dealing with plasterboard partitions, it became clear that installing pattressing is one big headache. 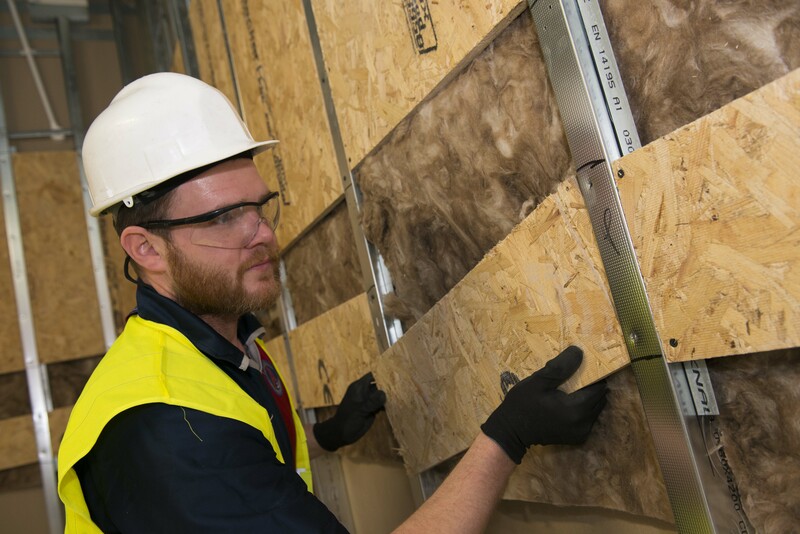 We found that the current boards they use require cutting on site, which creates large amounts of dust and noise, that in turn creates additional health and safety risk, plus the use of additional metalwork and fixings adding time and complexity, all resulting in extended installation times. We just wanted to reduce the risk and complexity, whilst saving them some time into the bargain.